It's BTW and this is on bead table today. 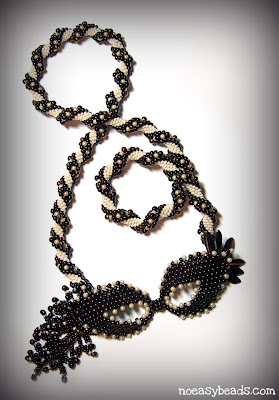 I designed Mardi Gras Jewels around a crocheted rope in 2003. It's hard believe I made this piece 8 years ago. I took this picture to late in the day. 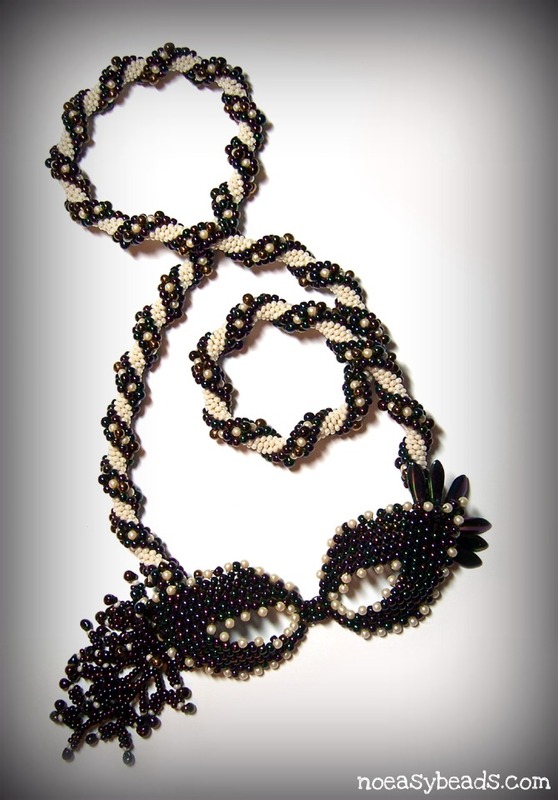 It was hard to capture the purple iris of the beads. Taking the picture on my bead table wasn't a bright idea! I needed more light. Thanks for stopping by for Bead Table Wednesday.